Next week sees the start of the prestigious Chelsea Flower Show. The great and the good will be attending this Royal Horticultural Society event, regarded by many gardeners and growers as the highlight of the year. Today, Everything Dinosaur turns its attention to a paper published earlier this month in the journal PLOS ONE. A team of researchers have found fossils of flowering plants that were once growing in Argentina, not long after, (in geological terms anyway), the global catastrophe that wiped out the non-avian dinosaurs. The fossils represent plants of the Rhamnaceae family, commonly referred to as Buckthorns. These plants have a global distribution today and a number of species can be found in parks and gardens in the UK. 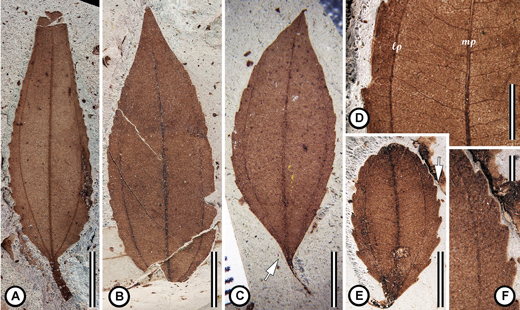 Two fossilised Buckthorn flowers next to each other were discovered in shales of the Salamanca Formation in Chubut Province, Patagonia, (Argentina). A lot has been written about the mass extinction event that marked the demise of the non-avian Dinosauria, some 66 million years ago. 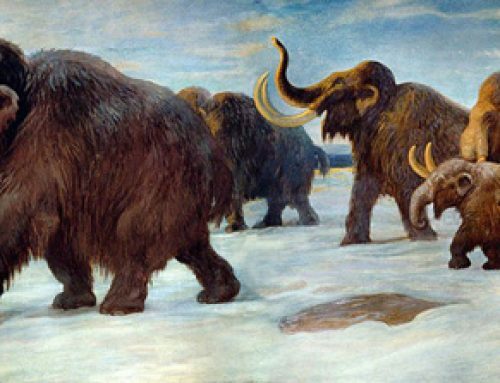 However, as well as the dinosaurs, pterosaurs and many kinds of marine reptile, other groups of animals (and plants), were devastated in the impact event and its aftermath. Plant families were decimated too and researchers have been examining strata that were laid down in the years following the end Cretaceous extinction event in a bid to assess how ecosystems recovered. Micro-fossil studies indicate that it was the ferns that were the first major group of plants to recover after the end Cretaceous mass extinction. In the Late Cretaceous (Maastrichtian faunal stage), fern spores make up around 10 to 25% of the plant micro-fossil assemblage. In Danian Epoch deposits, laid down at the very beginning of the Palaeocene, scientists find that in some parts of the world, fossilised fern spores make up nearly 99% of the plant micro-fossil assemblage. This is referred to as the “Fern Spike”, ferns recovering quicker than angiosperms and other types of plants. This recovery is echoed today, as ferns are often the first to colonise land devastated by a volcanic eruption. A graph showing the recovery of ferns after the Cretaceous mass extinction. The research team including lead author Nathan Jud (Cornell University), report on the discovery of the first fossilised flowers post the Cretaceous extinction to be found in South America. The fossils date to the early Palaeocene (Danian faunal stage), less than one million years after the extraterrestrial impact event. The flowers and other plant fossils were found in shales which form part of the Salamanca Formation (Chubut Province, Patagonia). Plants of the Rhamnaceae family might have a global distribution today, but from where did this highly successful group of shrubs, trees and bushes originate? Scientists have argued about whether early Buckthorns originated in the ancient super-continent Gondwana, which later split and includes most of the landmasses in the Southern Hemisphere today. Or did the Rhamnaceae evolve further north on another super-continent from the Mesozoic – Laurasia? The scientists, which include Ari Iglesias (Universidad Nacional del Comahue, Argentina), and Peter Wilf (Pennsylvania State University), suggest that fossils found in southern Mexico and Columbia provide evidence that the first members of the Rhamnaceae family evolved in the Late Cretaceous, shortly before the extinction event. Although, many types of plant died out at the end of the Mesozoic, the ancestors of extant Buckthorns were able to make it through the global catastrophe. A plausible scenario is that the Rhamnaceae first evolved in the equatorial region of Gondwana, but survived the extinction event by clinging on in the southern most portion of South America, many thousands of kilometres from the Yucatan peninsula impact site. These plants were then able to re-colonise other parts of the world in the aftermath of the extinction event, perhaps taking advantage of the niches in ecosystems vacated by recently extinct plant species. The Salamanca Formation is among the most precisely-dated sites of the Palaeocene. The age of the fossils was corroborated by radiometric dating (using radioactive isotopes), the global palaeomagnetic sequence (signatures of reversals of Earth’s magnetic field found in the samples), along with the mapping of zonal fossils (relative dating).